A follow-up of a model released last year has been announced. 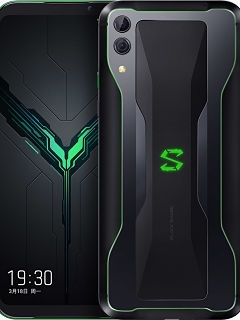 Indeed, the Black Shark 2 has been unveiled by Xiaomi and the smartphone is set to feature a sensitive OLED display. The most important aspect of the latest Xiaomi smartphone is probably its screen. Indeed, the Black Shark 2 comes with a pressure-sensitive OLED display. This means that the mobile enables players to interact with their game by applying pressure a certain way. Measuring 6.39 inches, it also features a Samsung-branded fingerprint sensor. Furthermore, the screen of the Black Shark 2 is not the only attention grabber. Indeed, the Xiaomi handset seems to feature some powerful specs. The smartphone is equipped with the latest Snapdragon 855 processor and Adreno's new 640 GPU. This means that it will be one of the best gaming phones on the market, beating the Razer Phone 2, a competitor. Additionally, the device will be equipped with 12 GB of RAM and 256 GB of storage. The 4,000 mAh battery has been improved from 18W to 27W so as to provide faster charging. Keeping gamers in mind, Xiaomi has enhanced colour accuracy, decreased flickering at low brightness and lowered touch latency. Already available in China, the entry-level model of the Xiaomi gadget can be purchased for around £363. For models with higher specifications, the price goes up to roughly £476. The different colours available are Frozen Silver and Shadow Black. - Samsung is finally introducing its Galaxy S10 range!